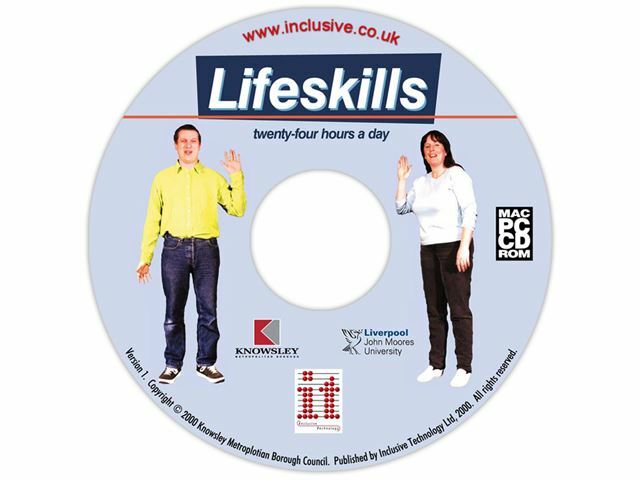 An engaging CD-ROM aimed at adults with moderate learning difficulties. Users are presented with one of up to thirty-one different everyday scenarios within which they make decisions over the course of a day. Go to the cafe or pub. What shall I have? Go to the supermarket or post office. Pay for the goods. Going out during the day is different in many ways from going out at night. Everything looks different and different places are open or closed. Interaction is enabled through a wide range of support, including Rebus symbols, Makaton sign language and Signalong signing. Input can be through mouse, touch monitor or switches. The "24 hours a day" theme provides a framework for many daily living activities involving decision making. It enables the users to see themselves in each situation or to help their chosen character through daily tasks. 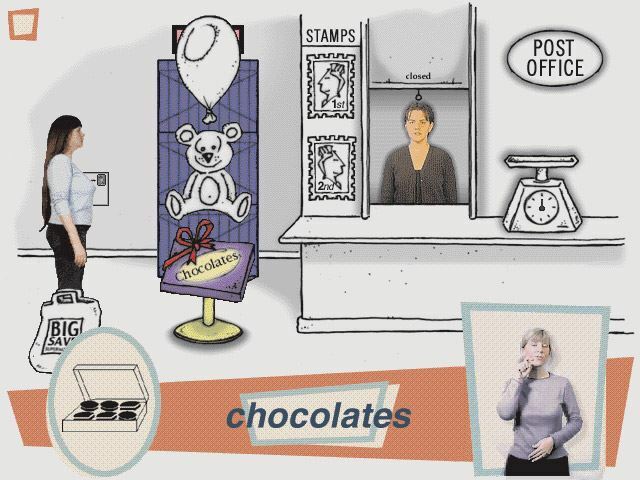 The graphics style was chosen to address the issue of age appropriateness, whilst meeting the needs of users with visual and perceptual difficulties. 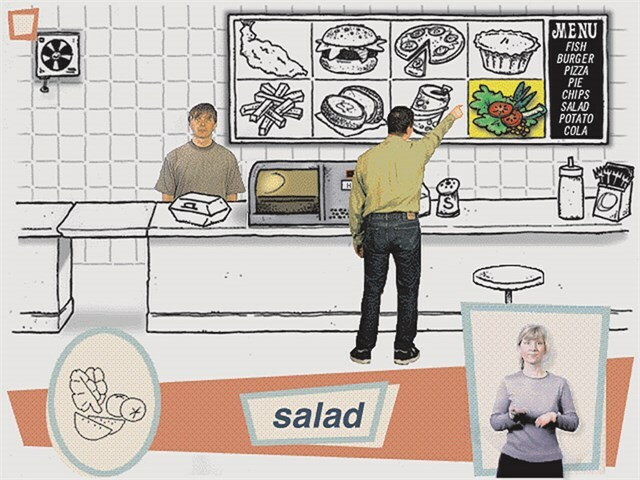 The use of signing, symbols, text, speech and pictures allows the reinforcement and feedback to be appropriate to the user and can also provide additional learning opportunities, for example by presenting text alongside speech. Inclusive's Roger Bates worked with The Learning Methods Unit at John Moore's University and Knowsley MBC to produce this program. It has been extensively trialled with service users. Meeting the different needs of each user is a key part of creating material for users with learning difficulties. The different input options and the three levels of operation have proved very valuable. Users have been able to interact with the program. They find the animations stimulating to watch and take great pleasure in being able to help their chosen character - often by choosing the drinks and food that they themselves prefer. This program has been well accepted by all who have seen it, not least service users. The 'virtual memory' issue seen on some Windows XP machines does not affect Vista, 7 and 8 machines.